MINNEAPOLIS — Predicting alfalfa winter injury or kill is never easy. There are suites of stressor impacting winter injury or kill where some under our control (e.g., harvest management, stand age, etc.) and others that are not (e.g., weather). 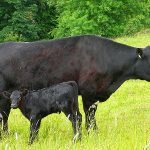 The essential takeaway regardless of the stressor is to evaluate your alfalfa stands every spring, and ask the question, “Will my alfalfa meet my forage demands?” This will help you determine which management steps are best relative to forage demands and alfalfa stand health. 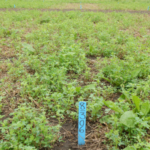 Following is a quick overview of critical elements that can impact alfalfa winter survivability and subsequent performance. The ability of alfalfa stands to overwinter starts with optimal management decisions. 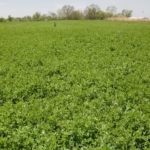 Alfalfa cultivars must be selected by regional and climatic specificity to ensure the appropriate genetics are present for winter hardiness and disease resistance. 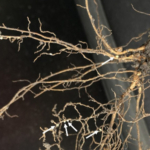 Proactive fertility management as well as pest management are also critical, as stressed plants are weaker, and cannot efficiently synthesize carbohydrates for winter storage (read more on alfalfa establishment). 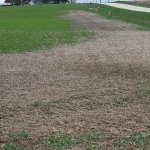 The timing of harvest events, especially in the fall can maintain or deplete root reserves critical for winter survival. No cutting is recommended between September 1st and October 15th in Minnesota, as this critical harvest period is needed for carbohydrate accumulation. Critical harvest period dates will vary depending on how far north you are located, but regardless of the time of year, it is crucial that final harvest occurs 4 to 6 weeks before the average date of the first killing frost. Cutting during this period interferes with the accumulation of carbohydrate reserves because energy is expended for new growth at the expense building winter reserves. 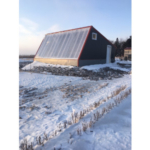 It is also recommended to maintain a minimum of 6 inches of standing growth or stubble to serve as a snow catchment for insulation to protect against winter injury. Figure 1. Snow depth at Southern Research and Outreach Center, Waseca, MN 2019. Data provided by UMN-SROC. A minimum of 4 inches of snow is considered adequate to insulate the soil and prevent direct freezing damage to alfalfa. 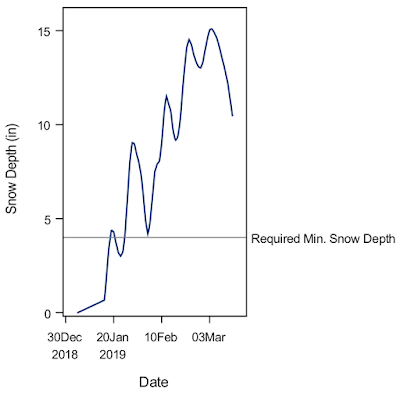 At Waseca 2019, there was more than 4-inches of snow from January 22nd to present (Figure 1). Snow cover provides the needed soil insulation buffing extreme drops in soil temperature. Temperatures between 15 to 5°F at the crown are capable of causing alfalfa winter injury (Figure 2). 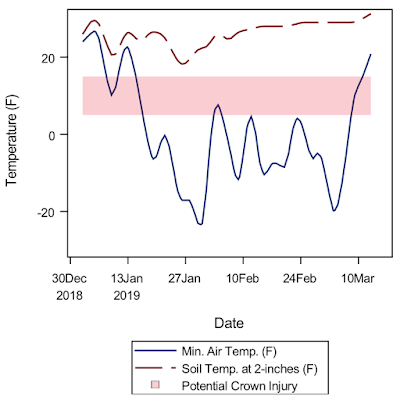 Notice that even when air temperatures dropped below -22 F (solid-blue), soil temperatures at the crown (dashed-red) remained above the threshold due to the insulating snow cover (pink-band; Figure 2). Figure 2. Minimum air (solid-blue) and soil temperature at a 2-inch depth (dashed-red) collected at SROC, Waseca, MN 2019. The pink band indicates the range of soil temperatures that can increase the probability of alfalfa crown injury. Data provided by UMN-SROC, Waseca, MN. Precipitation and freeze-thaw cycles in late winter and early spring can lead to formation of a layer of ice at the soil surface, or “ice sheeting”. If prolonged by the weather, freezing rain and ice sheets can deplete soil oxygen and create toxic levels of carbon dioxide, ethanol, and methanol beneath the ice. Alfalfa can endure short periods of ice sheeting, however, periods lasting longer than 7 days can cause significant injury and even death. Driving around Minnesota this year, I noticed significant pooling of water and the formation of ice sheets. Already for the 2019 year, Waseca, MN received 6-inches of non-snow precipitation (SROC Weather Data, 2019). Pay close attention to low lying areas where ice sheets have formed, and be prepared to assess alfalfa stand health across the entire field with special attention to the areas that were under the ice sheets. 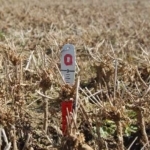 Regardless of winter conditions, always assess alfalfa stand health each spring. Winter injury may not be immediately apparent and may be indicated by slow or uneven spring growth, or could go undetected until after the first cut. The most direct assessment of spring plant health is taproot color and turgidity. 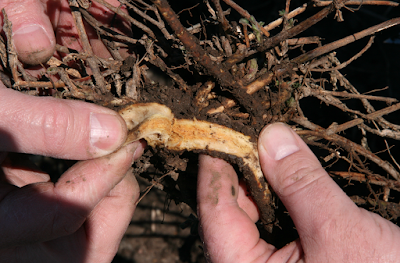 Dig a few plants from representative areas of the field, and split the taproot down the center as shown in Image 1. Healthy roots should be off-white in color, turgid, firm and hydrated. 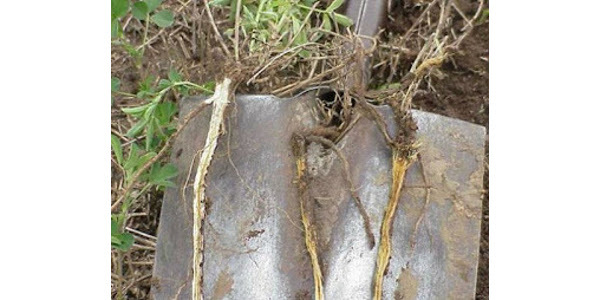 Damaged or winterkilled roots will be dark, dehydrated, and “ropey” as seen in Image 1. Image 2. Dissected winter-killed alfalfa crown (2018). Notice the dark color and unhealthy appearance of the center tissue indicating injury to the plant. 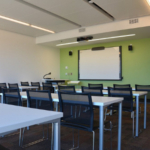 Management options: what to do? Remember that injured alfalfa stands can exhibit delayed regrowth, but may be capable of recovering. Be careful not to rush into alternative options if the stand can be maintained for acceptable production. If action is required, carefully consider the cost and expected benefit of alternatives. 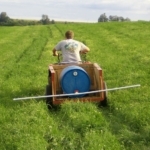 Supplemental forages such as teff, annual ryegrass, and small grains can be interseeded into a thin stand or used to fill in open spots. 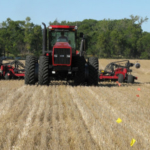 If counts are below the 40 stems per square foot threshold in several areas throughout the field, termination, and planting of silage corn or BMR sorghum may be more appropriate than interseeding into the remaining alfalfa stand.